I have a confession…there have been times when I am an expert procrastinator. There were times when writing my book that I literally turned off my computer and quit writing because I just HAD to clean the toilet. I have NO idea who in their right mind would rather clean the toilet then do, well, much of anything! For those that know me, they know this was a huge excuse and definite procrastination technique. Taking care of the most difficult duties first thing in the morning when your mind is fresh and you haven’t had multiple interruptions yet can help give you more focus and energy. • Block out time on your calendar to complete the task – treat it just like an appointment. This will give you a start and end time. I like creating a hard stop for those difficult tasks as it gives me the ability to see the “light at the end of the tunnel”. When the stop time comes up you have the permission to stop what you are doing and move on to something else. You never know, you might find you are actually almost done or the project or task isn’t as bad as you thought and taking a couple more minutes to complete the activity would be ok! For those REALLY hard tasks decide on a reward. Something that you wouldn’t normally do for yourself. Be creative! Have you ever noticed how having a workout partner at the gym makes you push just a little bit more? It’s the same concept. Having to report back to someone on the progress toward completing the task can help push you just a little harder. I don’t know about you, but I HATE telling someone publicly when I didn’t get something done I said I was going to. Above all else, have compassion for yourself. You got this! Think of how good it will feel to get that task or project off your to-do list. By letting go of the procrastination and tackling the hard things you will be surprised at the leaps and bounds your business will take! I’m happy to share we have recently expanded! There are now even more ways we can support you to help take your business to the next level. Make sure to check out our website at www.fromstartuptosuccess.com for the details! 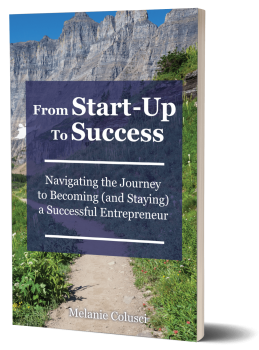 In my recently released book titled “From Start-Up to Success: Navigating the Journey to Becoming (and Staying) a Successful Entrepreneur” there are many other helpful ideas to becoming the best entrepreneur you can be. There are also many ways to stay connected with us. We are on Facebook and Pinterest and you can also sign up for our e-newsletter. You’ll be happy you did!